IF MY ROOF IS LEAKING, DOES THAT MEAN I NEED A PATCH OR A NEW ROOF? No, a leaking roof does not automatically mean you need a new roof altogether. Usually, a leak is confined to a smaller specific area, which would need to be estimated by one of our team members. Rest assured, Skyline Roofing uses the right materials to ensure that fixing a certain area of your roof does not lead to you needing a complete new roof. FOR A PATCH JOB, HOW MUCH DOWNTIME WILL THERE BE? For a patch job, there will be minimal downtime. It's impossible to answer directly without seeing the condition of your roof as it stands now. Downtime will depend on the factors such as size of roof, the products used and the type of roof on your building. We advise you to plan ahead by calling us at 833-SKYROOF to receive an estimation sooner than later. WHAT MAJOR ROOFING SERVICES DOES SKYLINE ROOFING OFFER? 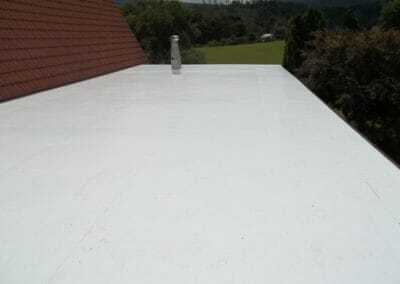 Because Skyline Roofing has been in business since 2009 with over two decades' worth of experience, we offer a vast array of services including specific roof coatings. Generally, we are trained to work with commercial roofing, industrial roofing including repairs, tear-off, installation and inspection. We do re-roofing as well as work with Energy Star approved roofs, roofs with Class A Fire ratings and are equipped to handle schools, churches and all commercial businesses. 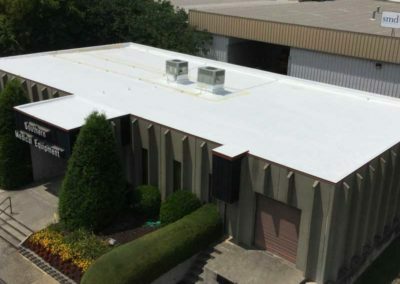 Specifically, we specialize in membrane coating systems, polyurethane coating systems, single ply roofing, reinforced ply roofing, metal roof restoration, and maintenance services. Great question. We wish there was a one-size fits all answer for the life of roofs, but there is not. A roof's lifespan depends on all the major factors such as the property's location, weather, construction material and previous maintenance work. 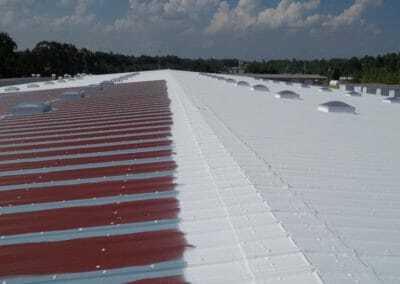 HOW DO I KNOW IF MY COMMERCIAL ROOF NEEDS TO BE REPLACED? It's never too early to ask this question and it will save your time to have a team of experts come out to perform an analysis of your roof, first. If there are consistent water stains, cracks, large leaks, please do not wait to take action. 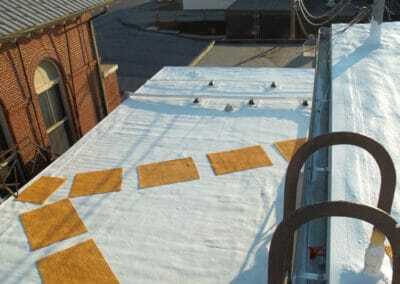 Call Skyline Roofing at 833-SKYROOF and let us advise you on the best course of action for your commercial roof.